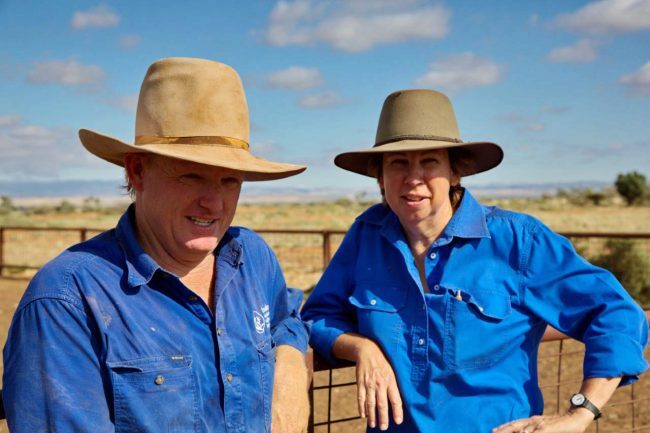 Saltbush White Dorpers are highly productive, low maintenance sheep that will thrive in low rainfall cropping and pastoral grazing environments. All our sheep have superior shedding ability and all stud animals have never been shorn. No animals are ever hoof trimmed and all births are unassisted. All sheep are raised in a natural pastoral environment with little to no supplementation and ewes must perform under these conditions to remain in the flock. All animals are performance recorded under these conditions. A ewe must rear at least one lamb per year to remain in the flock; most will raise many more than this. Selection emphasis is placed on conformation, including sound feet and leg structure. Growth rate and eye muscle development are objectively measured and actively selected. All animals are performance recorded using LAMBPLAN. Every lamb dropped is mothered and identified. Lambs are weighed at weaning and post weaning, with eye muscle and fat depth scanning also conducted post weaning. Data is submitted to LAMBPLAN and we use the Australian Sheep Breeding Values (ASBVs) generated by Sheep Genetics Australia to assist us to identify genetically superior animals. ASBVs are available for all stud animals. Detailed records are kept on the reproductive performance of individual ewes, enabling us to also have access to Number of Lambs Weaned (NLW) ASBVs. 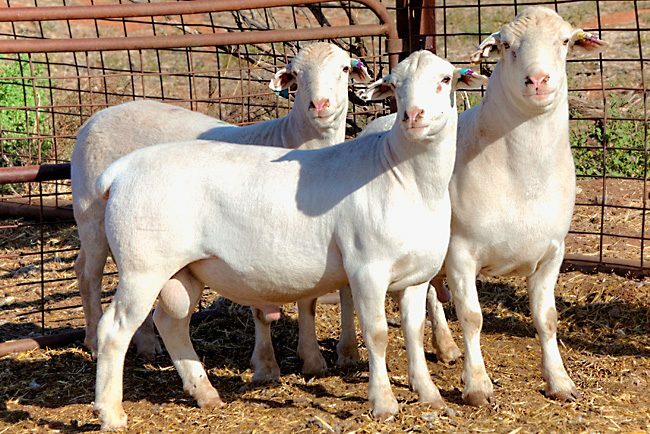 The stud ewes are mated in single sire groups three times per year, with the intent that all ewes will produce at least three lambs in two years. Due to the animals’ naturally high fecundity and excellent mothering abilities, many will raise more than that. All animals are measured and selected while grazing native pastures in a commercial environment. Better performing animals are identified under these conditions, using our strict visual assessment criteria along with the genetic potential information available from LAMBPLAN.